I wish to announce our biggest holiday surprise: we have launched officially 2 huge purchase and referrals contests on GetAdsNow.com starting from December 14, 2016 and ending on January 30, 2016. Happy Chanukah! Merry Christmas! Happy Holidays! GetAdsNow.com Staff wish you and your family happy holidays and a good New Year. The processing of your support requests may be delayed, but purchase orders will proceed automatically as usual. Please still contact us with your support concerns! GetAdsNow.com Staff wish you and your family a happy, peaceful, and prosperous New Year. We want to remind you that the processing of your support requests may be delayed, but purchase orders will proceed automatically as usual. Please still contact us with your support concerns! Here is to a wonderful 2017! Dear members, all ClixGrid links are disabled for 24 hours temporarily only one is active for test. GetAdsNow.com members should participate on this operation and use ClixGrid. If you have any kind of problem please report it here or by using contact us form. Note: All advertisers that have "Approval Denied" should not worry (it is paused 1 day only), they will get a couple of free days after that. Please post your experience with ClixGrid here! ClixGrid links are back and active. I have added 10 days free for all advertisers on ClixGrid. I'm happy to announce that ClixGrid is working very well with all members. Thanks for your interest on GetAdsNow.com! GetAdsNow.com is offering a reliable quality and paying members since months, now got a new look! 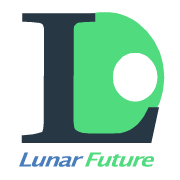 this innovation is developed and integrated by LunarFuture. Please check our new banners. Dear members, GetAdsNow.com was down for the last 48 hours because of our previous hosting provider. It is actually running on our proper servers now. Everything on GetAdsNow.com should be functional, if you face any problem please contact us, or just expose it in the right section. I will be more active to supervise all your requests. Dear members, All payments are sent to our members this month, enjoy our quality services! $1.0 Signup Bonus + 2000 Credits Banner added instant when you join GetAdsNow.com, enjoy!